Gymnasts competing at the Regional Semi-finals down south are ordering leotards and tracksuits to be part of team Scotland! We have eleven gymnasts who will be competing in June and top 8 in each category will then compete at the finals in July! 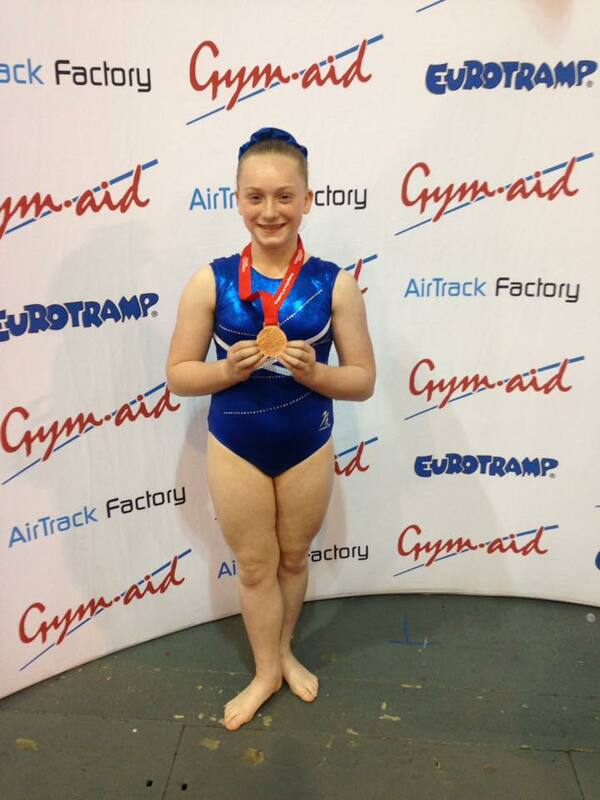 Last year our superstar Rachel Hulmes won a bronze medal at the finals and we’re hopeful for another successful year. 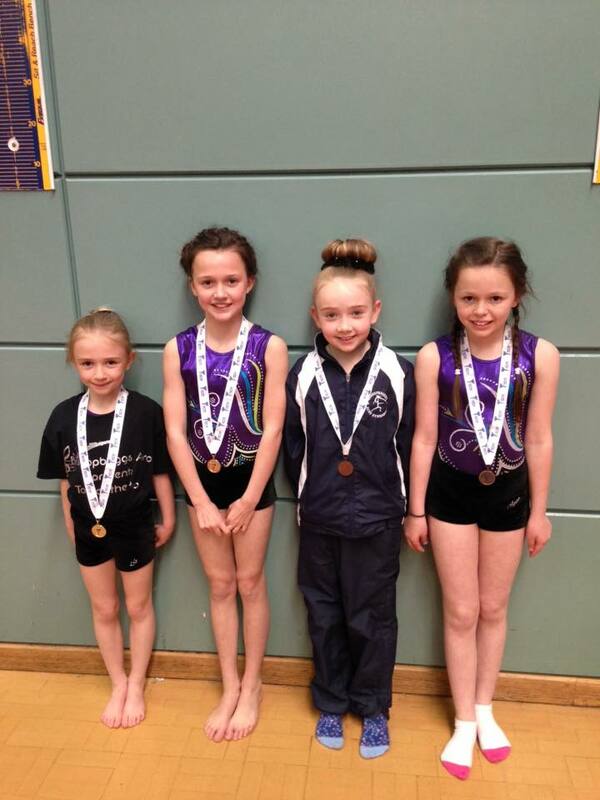 We have our club level tumblers competing at the next Club League competition in May. Our club tumblers are working hard at training. This will be the first tumble competition for lots of our gymnasts. West of Scotland in May – some new partnerships will be competing for the first time. Gymnasts have been learning new routines and elements at each session – this will be a great opportunity to try these out. There are 48 gymnasts competing at the Lanark invitational Tumble competition – Club, FIG and NDP. Our biggest ever entry! This shows how hand working and determined all of our gymnasts are – the progression we continue to see is fantastic. Also, in May we have 6 of our FIG tumblers representing the club in a tumble competition down south! We also have our tumble judge Jane judging at this event. A very exciting opportunity for all involved. We have had lots of changes in the club recently with new acro partnerships and new level tumbles – all of our gymnasts have been so enthusiastic and understanding. This has been greatly appreciated! We have some cancelled sessions coming up these should all be listed on our ‘Dates for you Diary’ section of the website. If you could continue to check this that would be much appreciated. Finally, can you believe we’ve already had a filled Smartie tube returned to the club! Let’s see how many more we receive … We appreciate all help with fundraising – keep it up.